Millwrights or Industrial Mechanics work on a wide variety of equipment from simple pumps to complex power trains. Technicians in this field may work in a refinery, power plant, local repair shop or become a "road warrior" with a local union and travel from job to job. Each career path has several great opportunities to excel. Technicians will work on rotating equipment including all types of pumps, blowers, fans, turbines, gearboxes, rotary valves, clarifiers, compressors, and turbines just to name a few. 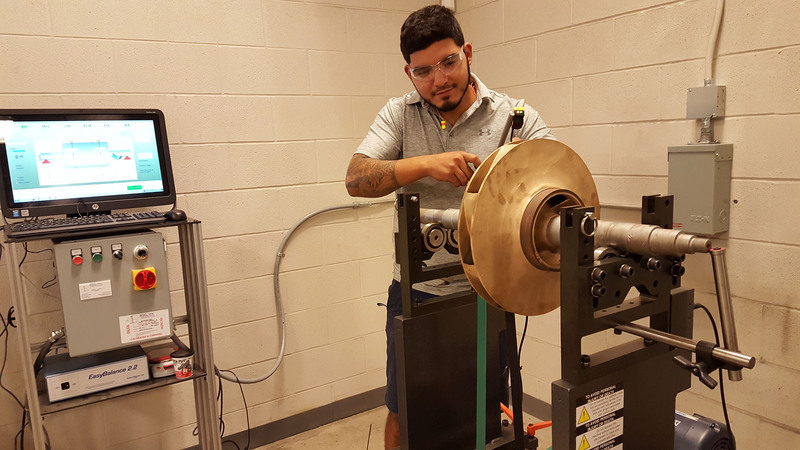 Several companies recognize those that work on this type of equipment as rotating equipment technicians. These technicians are not merely just a parts changer but instead play a vital role in trouble shooting damaged equipment and working alongside engineers to help determine the root cause of a failure. Technicians may also work alongside operations to determine the best way to warm up, start, or stop equipment. Technicians then may fill out inspection/repair sheets that will be part of a machinery history log. This documentation will help determine a strong preventive maintenance plan to minimize down time and help predict failures before they occur.